Exhibitions India Group (EIG) is a 3 day event being held from 7th March to 9th March 2018 at Pragati Maidan in New Delhi, India.Convergence India expo is known for stimulating growth and innovation in the Indian ICT industry, the expo is the ideal platform to deliberate and engage with international business gurus, telecom and broadcasting czars, leaders from IT & Internet, electronics, media, entertainment, communications, broadcast, cable & satellite, fiber, cloud, VAS, etc. verticals. National and international TV crews and cameras, and social media, will beam debates and discussions across the globe.The three day long mega expo will be spread over 20,000 sqm of area and attract over 130 speakers, 1,500 conference delegates, 20,000 business visitors, and participation by 500+ companies from 30 countries showcasing latest trends and technologies.The concurrent conference will be held in three separate halls on all three days will attract prominent government officials, industry leaders, technocrats, academia, media, etc., on to a common platform to discuss, network and share their valuable insights into the technologies and services of tomorrow to promote the global ICT industry. Dharmendra Pradhan opens up The Global Skill Summit 2018. Exhibition Showcase is India's Most Comprehensive Media Platform For Exhibitions. 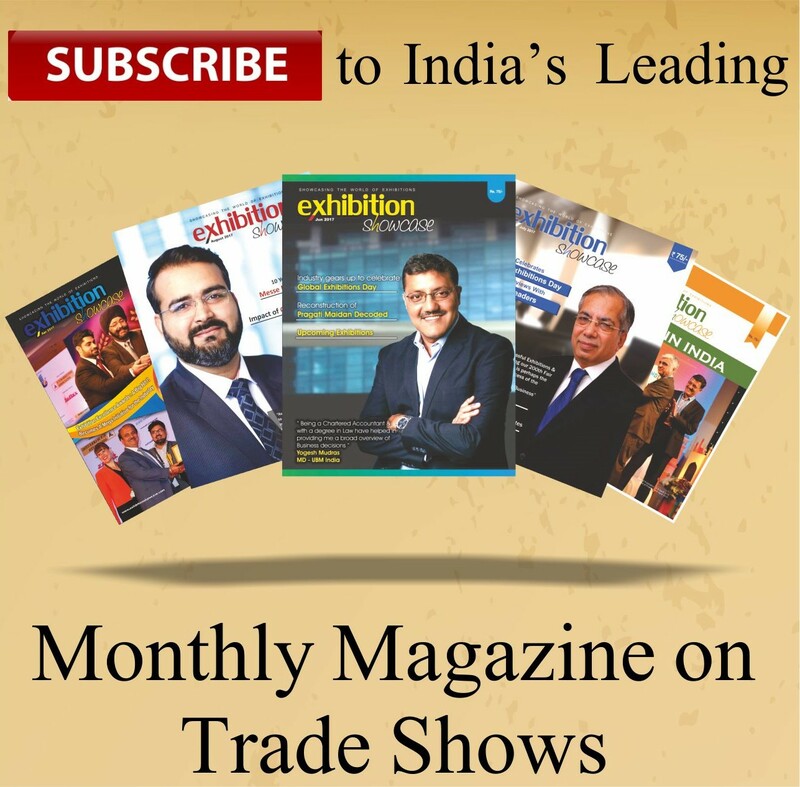 Fuelled By Monthly Print Magazine, Dynamic Online Portal, India's First Dedicated Youtube Channel for Exhibitions, Annual All India Exhibition Directory and The Exhibition Excellence Awards Initiative, Exhibition Showcase Is Your One Stop Guide To Exhibitions In India. Exhibition Showcase Magazine Is Registered As Press. An ISO 9001:2015 Organization, Exhibition Showcase Is Media Partner & Member Of UFI - The Global Association of Exhibition Industry & IEIA .